Models - Kandi Panda EV #1! Thanks mostly to another outstanding performance of the chinese market, more than 51.000 plug-ins were sold last month, which not only represents a 8% increase over the last record (48k, two months ago), but also a significant 80%(!) increase regarding the same month last year, pulling the YTD sales to 385k units, meaning that we are headed for some 500.000 units at the end of the year. Yep, half a million EV's in one year, this year. Thanks to a booming Chinese market, for the first time since 2010, we see a chinese model claiming the Monthly Best Selling Model, but the real surprise is that it wasn't a BYD model, but a Kandi...The Panda EV, based on the Geely model with the same name, sold 4.581 units, the best performance ever for a chinese model, enabling it to outrun the usual suspects and win the October Best Seller Trophy, while at the same time allowed it to jump to #11 in the YTD chart, only 155 units short of joining the Top 10. In other news...Taking the risk of reproducing myself frequently, the Nissan Leaf desperately needs to start selling the 30kWh, the 2.949 registrations made last month were its worst result in almost three years, losing 9% share regarding last year. Speaking of veteran models, the Chevy Volt II finally started to appear on dealerships and helped the Volt family(1) to register its best performance in 14 months, by selling 2.264 units. The only notable position changes were the VW e-Golf dropping two positions to #9, to the benefit of the aforementioned Volt, up one position to #7, and the BAIC E-Series, rising also one position to #8. This was the fifth sixth consecutive month that BYD won the Best Selling Manufacturer title, again with a new personal record (6.101 units), the chinese carmaker has finally surpassed Nissan, being now the Best Selling EV Manufacturer of the year, a novelty for any chinese carmaker. 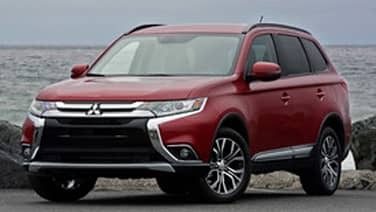 In the race for #3, another position change, Mitsubishi is now ahead, benefiting from the restyled Outlander and a more complete lineup, but with only 311 units separating it from Tesla, a lot can still happen until the end of the year. In the low end of the manufacturers ranking, things remain pretty leveled, Kandi surpassed Ford and is now #8, while Zotye reached #10, surpassing Chevrolet, now #11, but only 136 units behind the chinese carmaker. - 19 units in Morocco, slightly less than the 22 units registered in October'14, but still a good result. 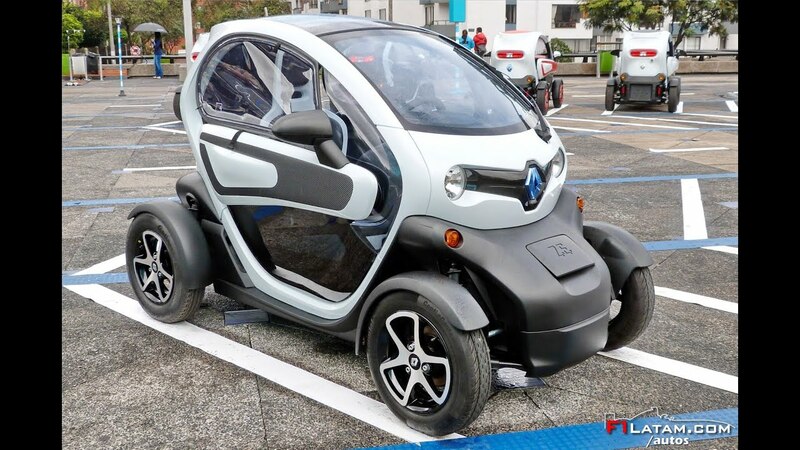 The shining result of the Twizy in Colombia allows it to have 0,1% of the local market, therefore placing the EV share in Colombia also at 0,1%, thus placing that market at the forefront of EV's in Latin America, along with Costa Rica. All referred markets are considered uncharted territory for EV's, so the tiny french vehicle could be considered as a pathfinder for the rest of the plug-in crowd, searching for ev-friendly markets "Where no other EV has gone before". - China goes interstellar, #Kandi @1. Another month in the red, with sales down 30% YoY to 1.785 units, and the EV Share at a paltry 0.52%, a long way down from the 0,98% of last year. Besides low gas prices, another reason for this poor performance is the 30kWh version of the Nissan Leaf, only set to arrive in December and leading customers to wait for the new version, until then, Nissan's electric hatch is left with slow sales, like the 359 units recorded last month, down 69%(!) 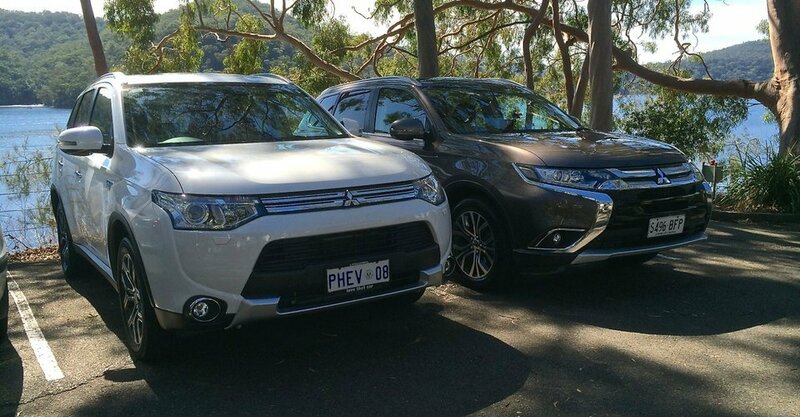 regarding October '14, On the other hand, the Mitsu Outlander PHEV is now firm in #1, and unless the Leaf pulls out a record-breaking performance in December, Mitsu will see its plug-in SUV finally be crowned as the Best Selling EV in its home market, after two previously failed attempts and recover the Best Selling Manufacturer Trophy, after losing in 2014 to the arch-rival Nissan. More than 16.000 units were sold last month in the European EV market, up an impressive 86% YoY, and with over 135.000 registered this year, YTD sales are headed for over 150k 170k units this year, a significant improvement over the 100k registered in 2014. Looking at the monthly models ranking, the Mitsu Outlander PHEV is fully profiting from the restyled version, selling 2.509 units, head and shoulders above the Number Two in October, the surprising Renault Zoe, with 1.822 units, its best performance of the year and the best pure electric in the ranking. By the way, here is a possible explanation as to why these strange sales transfer occurs between Germany and Norway...Spoiler Alert: It has to do with Carbon Dioxide. In #5 we have the Good Ol' Nissan Leaf, back to its usual low thousand-something '15 average, waiting for the 30kWh early next year to have a new jump in sales. A couple of models outside the Top 5 deserve a mention, the VW Passat GTE became the Best-Selling D-Segment car and reached #9 last month, while the Volvo XC90 T8 Plug-in Hybrid became the Best Selling Luxury SUV (287 units) in October, ahead of the chronicle leader, Porsche Cayenne Plug-in (243 units) and the other rising star, the BMW X5 40e PHEV (240 sales). Looking at the YTD ranking, there aren't changes in the Top 10, but some models reached closer to its forerunners: #3 Zoe is only 384 units behind the #2 Leaf, #5 Golf GTE is just 84 units behind the Model S and the #10 Kia Soul EV is 72 units behind the #9 Volvo V60 Plug-in, so a lot can happen in these spots. But it's below the Top 10 that thing become really interesting: The Porsche Cayenne Plug-In and Mercedes C350e climb one position to #12 and #13, respectively while the Nissan e-NV200 / Evalia twins drop two positions to #14, registering only 99 units, their worst result in over a year. Are they also feeling the 30kWh syndrome? Another model with slowing sales is the VW e-Up!, with its worst result ever, only 135 units, another position to #16, considering the free fall it is experiencing in the ranking, last year the little VW was #6, the german brand should give the e-Up! a substantial price cut, overcoming the largest problem that model has: Price. The problems of some are the benefits of others, and the Mercedes B-Class ED benefited from the e-Up! 's woes to climb another position to #15, signaling another positive month for Mercedes. Looking at newcomers in the ranking, the Volkswagen Passat GTE climbed nine positions to #21, the BMW X5 40e already joined the ranking at #30, while knocking at the door, there is another posh SUV: The Volvo XC90 T8 is #31, with 289 units...And there are more rookies waiting to join the ranking, like the #33 BMW 225xe Active Tourer is #33, or down a bit further, two more luxury SUV's: The Mercedes GLE500e and the Audi Q7 e-Tron. In the brands ranking, Volkswagen is stable in the lead of Europe's EV Manufacturers Throne (18%), followed by Mitsubishi (16%) in Second and Renault in Third, with 13%, while Nissan is #4, with 12%, down 1% share. Two contestants, only one winner: Who will it be? 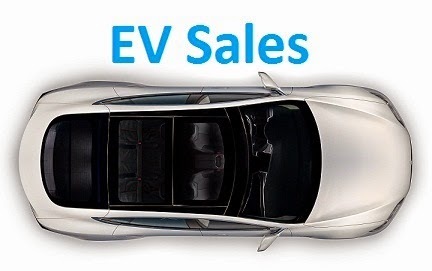 Some 300 EV's were sold in Belgium last month, up 111% YoY, placing the EV Share at 0,75% and with YTD sales at 3.222 units, will we see sales reach 4.000 this year? 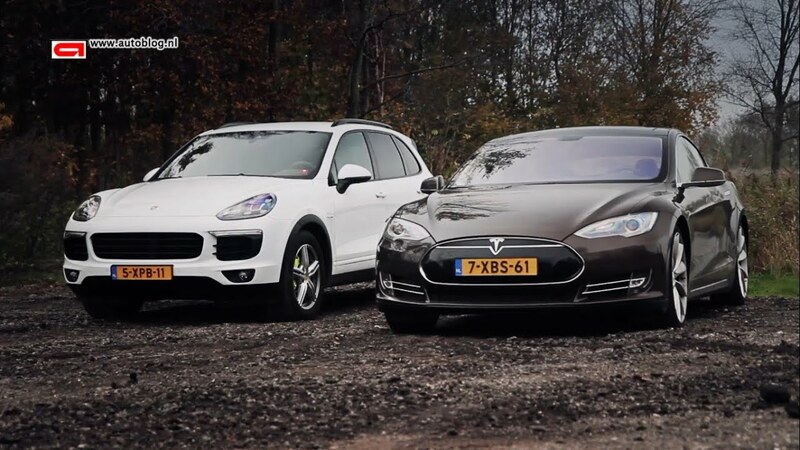 The two on the front continue their close run, the Tesla Model S (55 units) losing a bit more ground to the Porsche Cayenne Plug-In (72 sales), with the difference between both now at just 33 16 units. Great landing by the BMW X5 PHEV, registering right away 17 units, already leaving its direct competitor Mercedes GLE500e far behind, with the Merc only registering one unit in its debut month. In the manufacturers ranking, everything remains the same, with Porsche leading (24%), followed closely by Tesla (22%) and BMW in Third, with 15%. Has the Zoe finally reached its full potential? 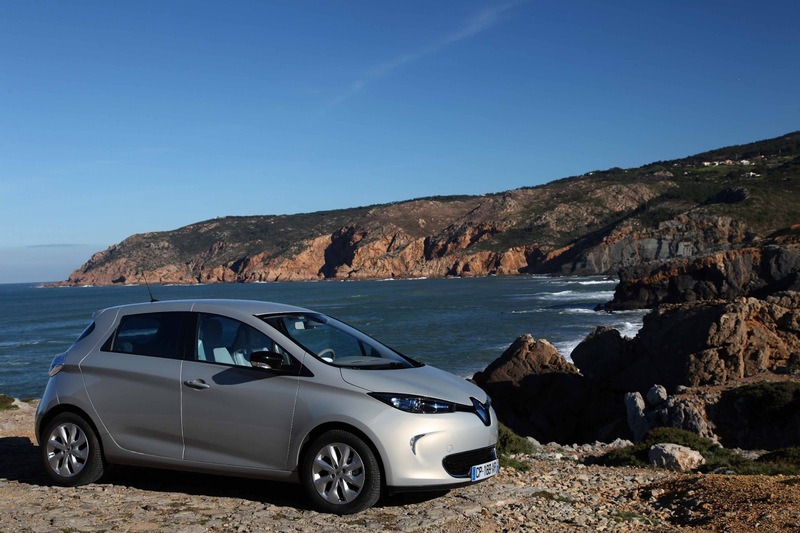 EV Sales are rising in Portugal, something that is particularly visible in Lisbon's Metropolitan Area, with sales doubling regarding the same month last year, and with YTD sales now at 872 units (Will we reach 1.000 by year end? ), the EV Share is steady at 0,57%, a significant departure from the 0,25% of last year. The Renault Zoe sold a record 19 units, just the second time it reached the two digit area, collecting only its second Monthly Best Seller trophy ever (The first was in Dec. '14), an odd fact for a model that has been on sale for over two years, especially considering that Renault has the largest dealership network in Portugal and is the best selling automotive brand. Does this mean Renault's sales force is finally willing to sell the Zoe? As the song says: "Que sera, sera / Whatever will be, will be / The future's not ours to see / Que sera sera..."
In the manufacturers ranking, Mitsubishi (24% Share) is first, followed by Nissan (20%), Renault (19%, up 1%) and BMW (14%). There aren't official numbers, but Tesla has been an undeniable success, leaving the rest of the EV competitors in the dust, with the once promising BMW i3 registering only eight units last month, a far cry from the 30-something average of the first half of the year, but with 206 units to date (A 53% increase YoY), it is a success in its own way. In a van-friendly market, the e-NV200 is Third, while the Nissan Leaf might still remove the BMW i8 from #4 until year end. Right now, the Model S is Second, behind the Mercedes E-Class (98 sales in October, 948 YTD) and ahead of the BMW 5-Series (77/636), the prospects for the future will be that it will be hard to remove the E-Class from the leadership (Rich people do love their Mercs here, last month the S-Class sold 88 units! ), but a comfortable second is most likely, which is a great sign for future acceptance of EV's in this market. The Content on EV Sales is owned by us or our suppliers and may only be used with our permission. Simple theme. Powered by Blogger.